Mr. Imbamba is a technical leader, innovator, information architect and manager with 20 years of diverse technical experience in information technology, and extensive knowledge and experience in Cloud and Analytics. He holds a master’s degree in business administration with a focus in management information systems and a degree in interior architecture from Southern Illinois University at Carbondale. 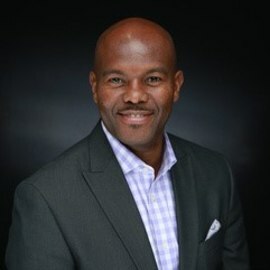 In his current role, Mr. Imbamba leads IBM’s North America Industrial Market Watson & Cloud Platform technical team, responsible for the technical sales support and coverage of all IBM’s Infrastructure-as-a-Service, Platform-as-a-Service, Blockchain, Watson Data Platform and Watson Business Solutions. In prior roles, Mr. Imbamba led technical teams in different IBM divisions and he is a certified IBM Consultant and IBM Architect. He has been a speaker at numerous IBM and client events and has worked with client’s cross different verticals and industries, helping them leverage technology to meet their business objectives and improve business outcomes.